Gwerinwyr Gwent’s first booking of the year was on the 26th February for the Links ladies group at Bethesda Chapel Rogerstone. We had been asked to do an English version of the Welsh evening devised by Barbara Griffiths that we put on for Newport Welsh society last year. 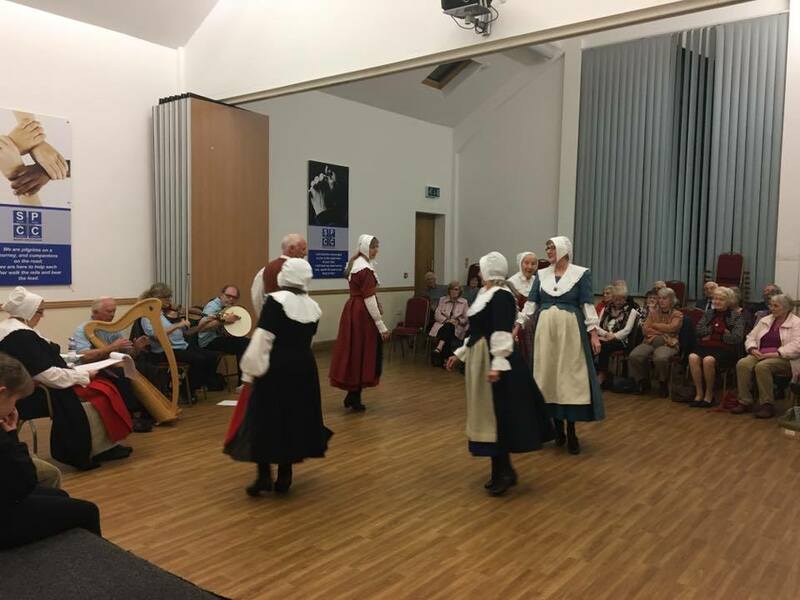 The evening consisted of us demonstrating some dances, and audience participation dances interspersed with the ladies opening boxes containing clues to events in Gwerinwyr Gwent’s history, which they had to guess. The evening concluded with a nice buffet, and a good time was had by all. We were due to give our Welsh culture evening for Llantillio Pertholey WI on 1st March, and run a twmpath for Ysgol Bro Allta PTA on 2nd March.....but of course heavy snow intervened and the events were cancelled. Hopefully both bookings will be re-arranged at a future date. Therefore, our second booking became Saturday 24th March when we organised a ceilidh with Rogerstone Roses WI at St Anne’s church hall. This was a fund raiser for the Tredegar House Folk Festival (11th – 13th May). Everyone there, including GG, had a great evening, and raised a decent amount for the festival. 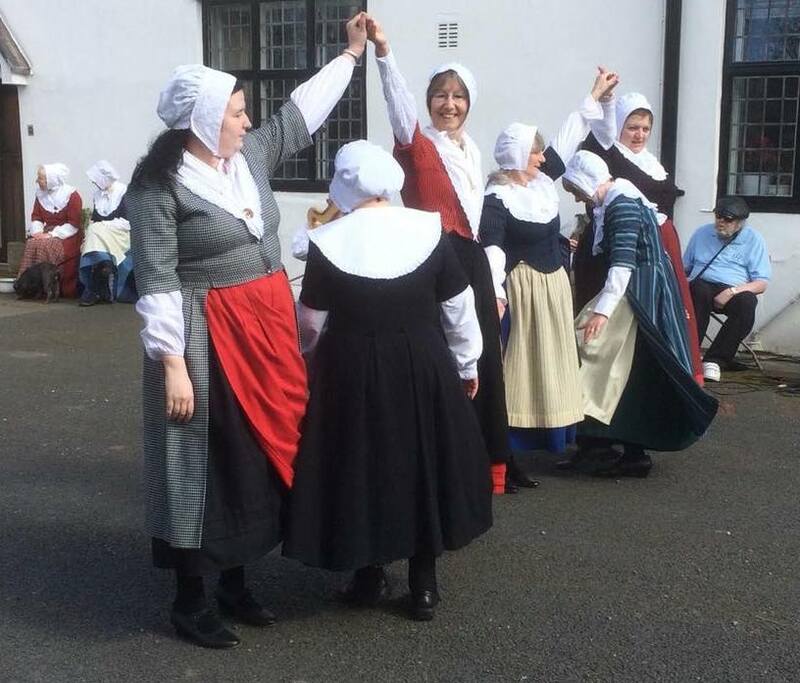 Much of the time every single person (apart from the musicians of course) was up dancing to instructions called by Barbara or Rhian, with an all ladies set from GG demonstrating the occasional traditional Welsh folk dance to give participants a breather. The following day we made our annual visit to Llanover House for the National Garden Scheme charity open garden day. Such a contrast to the previous Sunday when we had yet more snow, the afternoon was warm and sunny, and the crowds flocked in obviously glad to be out in the countryside after all the bad weather. Owner Elizabeth Murray said that the 500 visitors was their highest number since 2014 when the day coincided with Mothering Sunday. The hard winter had taken its toll on the plants, with over half of the thousands of daffodils that line the drive still only in bud, and the magnolia trees not in flower yet either. Nevertheless, the gardens are always beautiful, plus there was a lovely atmosphere and many people chose to linger, either sitting with tea and cake or just standing, to watch us dancing, and there were several appreciative comments about our performances which are always so good to hear. 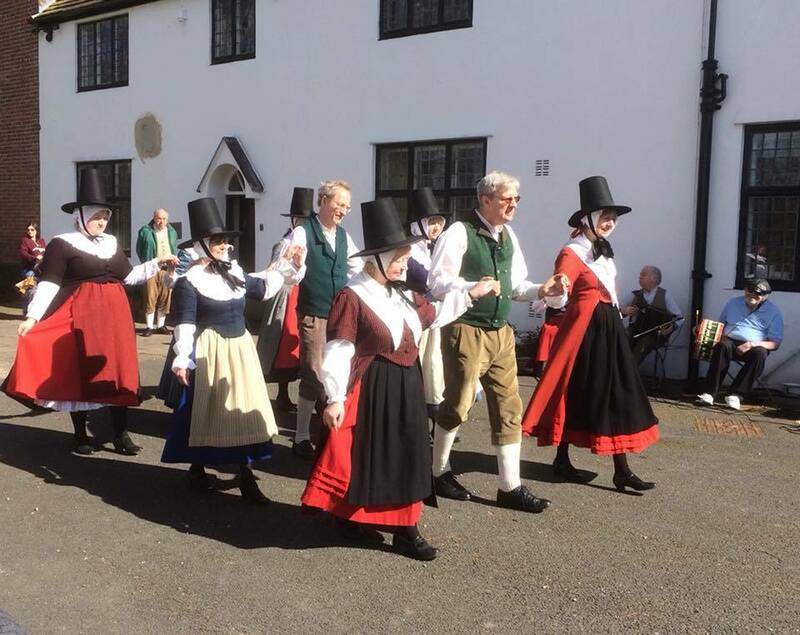 Gwerinwyr Gwent is always seeking new members, and beginners or experienced dancers/musicians are very welcome to join us on practice nights....Thursdays 8 – 10pm at the Graig Community Hall, Bassaleg (opposite the Ruperra PH). For more details, visit our website www.gwerinwyrgwent.org.uk, ring 01495 271953, or just come along and give it a try.